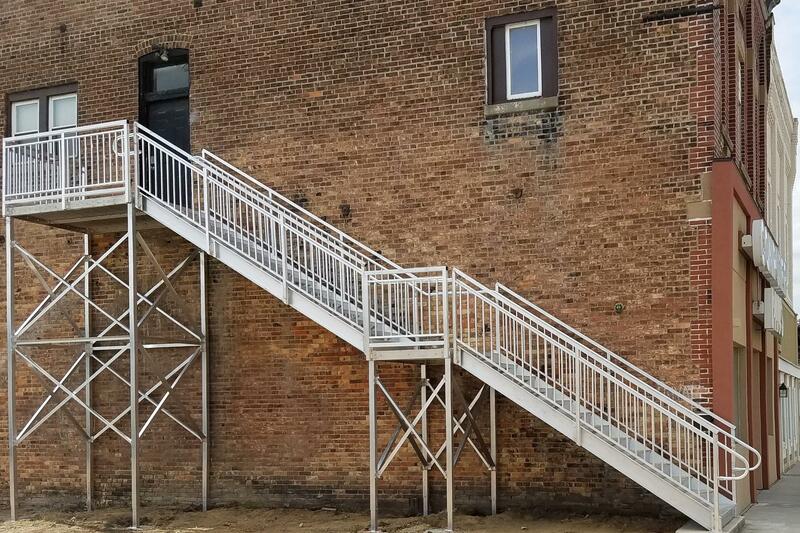 The Americans with Disabilities Act (ADA) does not explicitly state requirements for ADA stair landings, but it refers to the International Building Code (IBC). The IBC is where we can find the stair landing requirements that will be both ADA and IBC compliant. – A landing (or floor) must be at the top and bottom of each stairway. 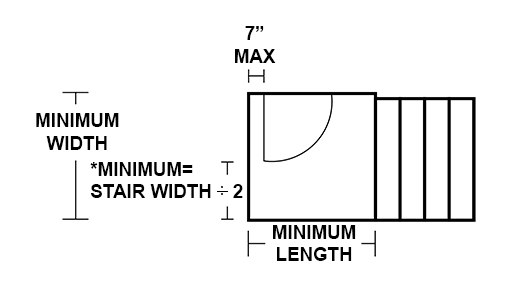 – A landing is required every 12′ of vertical stairway rise. – The landing should be at least as wide as the stairway that it serves. – The length (measured in the direction of travel) should be greater or equal to the width. 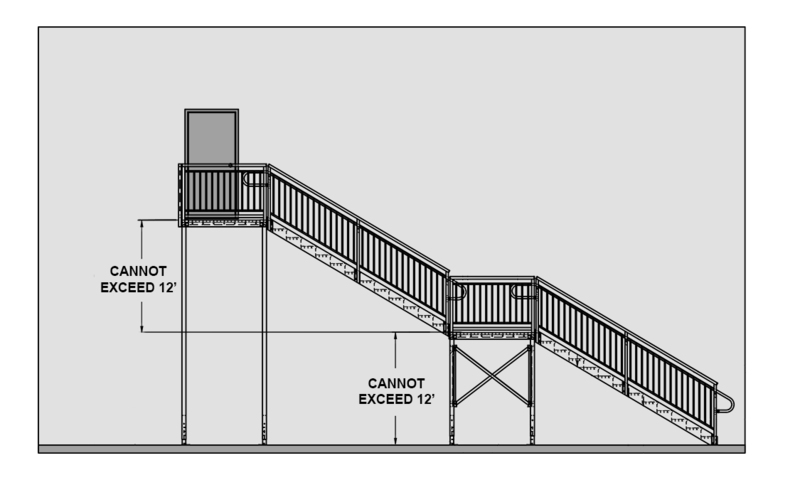 For a stairway that has a straight run through a platform, the platform does not need to exceed 48″ in length. – The landing surface should not be sloped steeper than 1:48 in any direction. Need an ADA stair and landing? – Landings should be at least as wide as the stairway or the door, whichever is greater. – When a landing serves an occupant load of 50 or more, doors in any position should not reduce the landing size to less than 1/2 the required width. 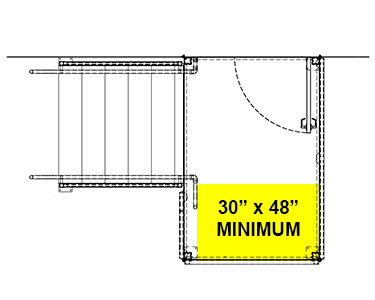 – When the door is fully open, it should not project more than 7″ into the required minimum landing dimensions. – If the stairway requires an area of refuge, you must have a 30″ x 48″ space for every 200 occupants. – Access to any of the required wheelchair spaces in an area of refuge cannot be obstructed by more than one adjoining wheelchair space. – The area of refuge cannot overlap the required width of the landing. – The door swing cannot overlap the area of refuge.